We know that many of the terms used in the realm of mortgages and foreclosure are not terms that people use everyday, and can sometimes be downright difficult. To assist you, we have compiled a list of mortgage and foreclosure term definitions. Abatement: The act of eliminating or nullifying. 2. The suspension or defeat of a pending action for a reason unrelated to the merits of the claim. 3. The act of lessening or moderating; diminution in amount or degree. 4. The act of thrusting oneself tortuously into real estate after the owner dies and before the legal heir enters. Abatement clause: A lease provision the releases the tenant from the rent obligation when an act of God precludes occupancy. Affiliated Business Arrangement (ABA): Two or more businesses with separate ownership which have a mutually beneficial relationship. (ABA) American Bar Association: National Association of Attorneys which issues ethics and guidelines. Each state has its own bar association which issues state specific guidelines for lawyers in that state. Acceleration: Action by lender/servicer to declare entire amount due before maturity date based on specific conditions listed in mortgage, such as payment default. The clause in a mortgage contract which refers to this right is called an Acceleration Clause. Accrued Interest: Interest earned for the period of time that has elapsed since interest was last paid. Action (Legal Action): A civil or criminal judicial proceeding. Adjustment: Change to prior account treatment of payment or expense, including reallocation of funds held in suspense account. Also, may refer to change in load terms. Adjustable-Rate Mortgage (ARM): A mortgage that starts out with one interest rate for a period of time and then “resets” to a new interest rate. What you should know: The starting interest rate is often enticingly low. The new interest rate will be higher—and your monthly loan payments will get bigger. That’s called payment shock. Example of ARM: 2-28 ARM: An adjustable-rate mortgage that has a fixed interest rate for two years. Then, the interest rate begins to float, based on an index, plus a margin. Typically, these adjustments increase interest rates every six months, which is why they are often referred to as “Exploding ARMs.” What you should know: 2-28 ARMs fall into the category of “creative financing” mortgages that were typically aimed at people with poor credit ratings. The idea was that in two years, these borrowers could fix their poor credit ratings and then refinance to fixed-rate loans. Often, the new variable interest rates drive monthly payments higher than borrowers can afford. Affidavit: A sworn statement in writing usually given while under oath or in the presence of a notary subject to perjury charges. Affirmative Defenses: An explanation for a defendant’s actions or inactions that legally excuses or justifies his or her behavior. An answer must contain affirmative defenses or the defense cannot argue this defense later. Amortization: the process of paying off a debt by making regular installment payments over a set period of time, at the end of which the loan balance is zero. Answer: a defendant’s written response to the plaintiff’s complaint which denies all disputed facts asserted by the complaint. Appraisal: Professional opinion of value (usually determined by a licensed appraiser). Arbitration: Binding or non-binding settlement of a dispute by a third party arbitrator. Assignment: The transfer of property to be held in trust or to be used for the benefit of the creditors (lenders). Assignment of Deed of Trust: A written document that transfers the beneficial interest in a note and deed of trust from one to another. Attorney Advance: Disbursement for attorney fees, often for collection and foreclosure services on account in default, to be recovered from borrower if permitted under mortgage. Back Ratio/Back End Debt Ratio/Back End DTI: The percentage of income that goes toward paying all monthly recurring debt payments, including housing costs. Bailout: Rescue of an entity, usually a corporation, from financial trouble. Balance: This is an extremely vague term. A balance due refers to the amount past due on a mortgage that is required to bring the account to a current status. Principle balance refers to that portion of the original loan amount which remains unpaid. It does not include accrued interest or fees. Balloon or reset mortgage: The total of monthly payments does not cover the entire loan balance. At the end of a balloon loan—usually three to seven years—the homeowner must either pay off the balance in a lump sum or refinance the loan. What you should know: Think of these as temporary loans. After three or seven years, you need to come up with the balance. Balloon loans have higher foreclosure rates than traditional mortgages because borrowers often can’t afford to pay off balances when they become due- and may be unable to find refinancing. Bank: A financial establishment for the deposit, loan, exchange, or issue of money and for the transmission of funds; esp. a member of the Federal Reserve System. Under securities law, a bank includes any banking institution whether or not incorporated, doing business under federal or state law, if a substantial portion of the institution’s business consists of receiving deposits or exercising fiduciary powers similar to those permitted to national banks and if the institution is supervised and examined by a state or federal banking authority. Bankruptcy (BK): Bankruptcy filed by borrower, often resulting in internal transfer of servicing to servicer’s bankruptcy department or to default servicer. Bankruptcy is a legal proceeding which allows a debtor to discharge certain debts or obligations without paying the full amount or allows the debtor time to reorganize his financial affairs to he can fully repay his debts. A bankruptcy does not discharge obligations secured by a deed of trust. Chapter 7 Bankruptcy: A bankruptcy that requires assets to be liquidated in exchange for the cancellation of debt. Chapter 13 bankruptcies: This type of bankruptcy sets a payment plan between the borrower and the creditor monitored by the court. The homeowner can keep the property, but must make payments according to the court’s terms within a 3 to 5 year period. Beneficiary: The lender or their successor in interest for whose benefit a trust is created and to whom the debt is owed. Bid: The offered amount for a property for sale at auction. Border: A person who pays to live with a homeowner, and not in a separate unit. Borrower: A person who initially receives a sum of money (principal) from a lender or bank, by using real estate as collateral and by contractually agreeing to pay back or repay an equal amount of money to the lender at a later time. Typically, the money is paid back in regular installments, or partial repayments; with interest charges added into the repayment calculations. Breach: The failure without legal excuse to perform any promise made in a contract. A breach is stated in the notice of default. Bridge Loan: A short term loan paid back relatively fast. Normally used until a long term loan can be processed. Brokers’ Price Opinion (BPO): Evaluation of property value, typically based on drive by exterior examination, public data sources and recent comparable sales. This evaluation is often carried out by a real estate broker, but may not be done by a licensed professional. Capital: Obligations, which may be liquidated as money for trade, and owned by legal entities and which is in the form of capital assets, traded in financial markets. Its market value is not based on the historical accumulation of money invested but on the perception by the market of its expected revenues and of the risk entailed. Capitalization: Addition of certain dollar amounts (which may be fees owed) to the outstanding principal balance, which may occur, for example as part of loan modification. Cash for Keys: a deal which a bank may make with a homeowner whereby the homeowner is given a cash settlement in exchange for vacating the foreclosed home. Cash-for-keys offers are also made to renters. For banks, the advantage of cash-for-keys is that it gets people out of the property quickly with much less damage to the house than in an eviction situation. Certificate of Sale: A document given to the winning bidder at a foreclosure sale stating their rights to the property once the borrower’s redemption period has expired. Certificate of Title: A document provided by a qualified source, such as a title company, that shows the property legally belongs to the current owner. Charge Off: The portion of principal and interest due on a loan that is written off when deemed to be uncollectible by the lender. Clear Title: A title that is not burdened with defects or encumbrances. Clerk of Courts: The administrator or chief clerical officer of courts of law charged with various duties including keeping of court and legal case records. Chain of Title: The chronological history of ownership of a property. Co-Borrower: Any additional borrower(s) whose name(s) appear on loan documents and whose income and credit history are used to qualify for the loan. Under this arrangement, all parties involved have an obligation to repay the loan. For mortgages, the names of applicable co-borrowers also appear on the property’s title. Collateral: Security in the form of money or property pledged for the payment of a loan. E.g. on a home loan, the home is the collateral and can be liquidated by the creditor to satisfy the debt if the mortgagor defaults. Complaint (petition): The initial pleading that starts a civil action and states the basis for the court’s jurisdiction, the basis for the plaintiff’s claim, and the demand for relief. Compliance: noun adherence to and acceptance of the rules and regulations which apply to a specific area of practice, accord, accordance, acquiescence to the law, adherence to the law specifically to the regulations pertaining to the field of practice, willingness to comply, yielding to the law. Contingency: A clause in a purchase contract outlining conditions that must be fulfilled before the contract is executed. Contributory Income: Refers to the contribution a particular person makes monthly toward a household income. This party does not necessarily live in the property, but may contribute to those living in the property for personal reasons. Conventional mortgage: The interest rate is locked in—and your monthly payments remain the same—for the term of the loan. Also called a fixed-rate mortgage. Conveyance: A document transferring title of real property. Corporate Advance: disbursement for servicing related expenses (other than escrow expenses) paid with servicer funds rather than escrow funds, to be recovered from borrower. Corporate advance may include foreclosure expenses, attorney fees, bankruptcy fees, force placed insurance, etc. Counterclaim: A defendant’s pleading that claims it was the plaintiff – not the defendant – who committed legal wrongs, and that as a result, it is the defendant who is entitled to money damages or other relief. Credit Bid: A bid on behalf of the lender at a foreclosure sale. The bid amount must be less than or equal to the balance of the loan in default. Cross-Claim: A defendant’s pleading that claims another defendant has committed legal wrongs and such defendant is entitled to money damages or other relief from that other defendant. Current Market Value: The resale valuation attached to a real estate property if it were sold at today. Estimates or opinions of Current Market Value are usually based on the recent sales of similar properties in the same market area, sharing the same market characteristics. Decree: A binding judicial decision (i.e. court ruling is a decree). Deed: A legal document that describes a piece of property and represents ownership of that property. The deed is recorded on public record with the property description and the owner’s signature. Deed of Trust: A written instrument by which land is conveyed; any instrument that is signed, sealed and delivered and that conveys some interest in property. Deed Restrictions: Clauses that limit the use of real estate property. Default: when a borrower has missed payments, the loan is in “default.” What you should know: The sooner a borrower takes steps to find a remedy, the more options there are. Default Judgment: decision by the court grated for the plaintiff when the defendant has been property served, yet has failed to timely respond to the complaint. When a default judgment is rendered, the plaintiff may immediately seek to enforce and collect that judgment against the defaulting defendant. Defendant: A person who is charged with a crime in a criminal case, or who has a claim against them in a civil case. Defense: n. 1) a general term for the effort of an attorney representing a defendant during trial and in pretrial maneuvers to defeat the party suing. 2) A response to a complaint, called an affirmative defense, to counter, defeat, or remove all or a part of the contentions of the plaintiff. 3) A defendant in a trial. 1. in states with consumer protection statutes that outlaw deficiencies on first mortgages on a borrower’s principal residence. 2. With mortgage loans designated as non-recourse, meaning the lender and borrower agreed in advance that the property would stand for the debt and there would be no deficiency allowed in the event of foreclosure. Deficiency Waiver: Voluntary relinquishment or abandonment – express or implied – of a legal right to collect the shortage from the sale of a foreclosed property. Discovery: the formal part of the process of the parties attempt to identify and gather the information they will need to prove their allegations or counter the allegations made against them. Dower Rights: A spouses potential interest in the property of the other solely by virtue of a valid marriage. DTI or Debt to Income: Also known as debt ratio: typically this is expressed as a percentage; it is the ratio of debt (secured and unsecured obligations owed in monthly installments) compared to the monthly income (usually gross income before taxes). Due on Sale: Lender has the right to request repayment in full upon sale or conveyance of a property. Encumbrance: Mortgage, lien, tax or any restriction on the use of land. Endorsement/Date Down: Continuations of the trustee’s sale guarantee that reports any changes in the status of the property being foreclosed. Such “date downs” are requested from the title company prior to preparation of the notice of trustee’s sale and prior to the trustee’s sale. Equitable Title: The present right to possession with the right to acquire legal title once a preceding condition has been met. Equitable Relief: Anything a court can do for a litigant who has been wronged or is about to be wronged. The most common remedy is judgments that plaintiffs are entitled to collect sums of money from defendants. Equity: The value of your home, minus what you owe on it. If you owe $80,000 on a house you mortgages for $100,000, your equity is $20,000. What you should know: If property values decline, your equity will also decline. For example, if that $100,000 home drops in value to $90,000, you still owe the $80,000 you borrowed, but your equity is now only $10,000. When your house falls in value below what you owe on it, it’s called negative equity. On the bright side, if your home rises in value, so does your equity. Escrow: n. Funds held by a third party or in a trust account until the agreed upon obligations of a contract are met. V. The process in which money and/or documents are held in trust by a disinterested third party who will consummate the instructions of the parties as expressed in their contracts. Escrow Account: Trust account into which a borrower’s funds are deposited and held to pay taxes, insurance premiums, and other escrow expenses. Escrow Advance: Disbursement for escrow expense paid with servicer funds at time when insufficient funds in borrower’s escrow account, to be recovered from borrower as escrow shortage or deficiency. Escrow Balance: Amount of funds remaining in escrow account. Escrow Deficiency: Amount of a negative balance in an escrow (trust) account at the time of an escrow analysis, resulting from escrow advances. Eviction: A separate, new legal proceeding by the plaintiff in a foreclosure suit also known as forcible entry and detainer lawsuit. When an eviction is granted, all persons must vacate the home by date or they will be forcibly removed by a court bailiff or sheriff deputy and all personal property will be placed in storage and/or on the street. The bank may also seek and collect compensation for any intentional damage done to the premises. Extension Agreement: An agreement (normally written) giving additional time to pay an obligation, OR additional time for a specified purpose; i.e- time to answer, time to respond. Fair Market Value: The price a property would sell for on the open market. This is a hypothetical price that a willing buyer and seller will agree upon when they are acting freely, carefully, and with complete knowledge of the situation. Fannie Mae (FNMA) Federal National Mortgage Association: A federally chartered enterprise owned by private stockholders that purchases residential mortgages and converts them into securities for sale to investors. By purchasing mortgages, Fannie Mae supplies funds that lenders may loan to potential home buyers. Also known as a “Government Sponsored Enterprise (GSE)”. (FHA) Federal Housing Administration: Establishment since 1934 created to advance home ownership opportunities for all Americans. FHA assists home buyers by providing mortgage insurance to lenders to cover most losses that may occur when a borrower defaults, encouraging lenders to make more loans to borrowers who might not qualify for conventional mortgages. Fixed-rate mortgage: The interest rate is locked in—and your monthly payments remain the same—for the term of the loan. Also called a conventional mortgage. Forbearance: A lender agrees to let a borrower postpone or pay a lower payment for a temporary period to give the borrower time to catch up on late or missed payments. What you should know: This remedy is more likely to be available to borrowers who seek help early, before they fall several payments behind. Foreclosure: The forced sale of a property pledged as security for a debt that is in default. Foreclosure laws are based on the statutes of each stateand the instrument used; deed of trust or mortgage. Foreclosure (judicial): A foreclosure that is processed by a court action requiring a suit be filed. Foreclosure (non-judicial): The procedure followed in enforcing a creditor’s rights when a debt secured by any lien on property is in default. Then technical term for a non-judicial state “foreclosure” involving a deed of trust is a “Trustee’s Sale Proceeding.” The non-judicial process of foreclosure is used when a power of sale clause exists in a mortgage or deed of trust. A “Power of Sale” clause is the clause in a deed of trust or mortgage, in which the borrower pre-authorizes the sale of property to pay off the balance on a loan in the event of their default. Foreclosure Complaint: Foreclosure Rescue Scam: Be wary of anyone who guarantees that they can save your home from foreclosure for a fee. Only an agreement between you and the lender will save your home. However this agreement can be facilitated by a counselor from a HUD approved housing counseling agency. No fees are charged for these services. Go to the HUD website for more information. Freddie Mac/Federal Home Loan Mortgage Corporation (FHLMC): A federally chartered corporation that purchases residential mortgages securitizes them and sells them to investors. FHLMC is a Government Sponsored Enterprise, or GSE. Ginnae Mae/ Government National Mortgage Association (GNMA): A government owned corporation overseen by the US Department of Housing and Urban Development, Ginnie Mae pools FHA-insured and VA-guaranteed loans to back securities for private investment. As with FNMA and FHMLC, the investment income provides funding that may then be lent to eligible borrowers by lenders. (GSE) Government Sponsored Enterprise: Privately held corporations with public purposes created by the U.S. Congress to reduce the cost of capital for certain borrowing sectors of the economy. Members of these sectors include students, farmers and homeowners. GSEs carry the implicit backing of the U.S. Government, but they are not direct obligations of the U.S. Government. For this reason, these securities will offer a yield premium over Treasuries. Some consider GSEs to be stealth recipients of corporate welfare. Gross Income: Money earned before taxes and other payroll deductions are removed. Unlike conventional short sales, a HAFA short sale completely releases borrowers from their mortgage debt after selling the property. This means borrowers will no longer be responsible for the amount that falls “short” of the amount owed on the mortgage. The deficiency is guaranteed to be waived by the servicer. In a HAFA short sale, your mortgage company negotiates with borrowers to determine an acceptable sale price. When the sale closes, HAFA provides $3,000 in relocation assistance. (HAMP) Home Affordable Modification Program: A largely ineffective, but highly popular government sponsored modification program that lenders began offering in 2009, as agreed upon when accepting TARP dollars. In exchange for a small contribution from the US Government, lenders must consider distressed mortgagors’ qualifications for the program: Qualifying mortgages must be originated prior to January 2, 2009; First-lien loans on owner-occupied properties with unpaid principal balance up to $729,750(higher on 2-4 unit O/O properties); Have current PITI (principal, interest, property taxes and homeowner’s insurance) payments over 31% of borrowers’ gross monthly household income. Borrowers qualifying for this program must fully document income, including signed IRS 4506-T, proof of income (i.e. paystubs or tax returns), and must sign an affidavit of financial hardship; Must not be more than 5% underwater and must receive modification prior to December 31, 2012. Hardship Letter: Letter written to a financial institution to explain home retention goal, date of financial hardship, extent of hardship and what steps have been taken to attempt to resolve hardship outside of asking for assistance from financial institution. (HARP)Home Affordable Refinance Program: a U.S. federal program, set up by the Federal Housing Finance Agency in March 2009 to help underwater and near-underwater homeowners refinance their mortgages. Unlike HAMP, which aims to assist homeowners who are in danger of foreclosure; this program targets homeowners who are current on their monthly mortgage payments but are unable to refinance due to dropping home prices in the wake of the U.S. housing market correction. Government criteria are as follows: The mortgage must be owned or guaranteed by Freddie Mac or Fannie Mae. The mortgage must have been completed on or before May 31, 2009. The homeowner must not have a previous HARP refinance of the mortgage, unless it is a Fannie Mae loan that was refinanced under HARP during March-May 2009. The homeowner must be current on their mortgage payments, with no (30-day) late payments in the last six months and no more than one late payment in the last twelve months. The current loan-to-value ratio (LTV) of the property must be greater than 80%. The homeowner must benefit from the loan by either lower monthly payments or movement to a more stable product (such as going from an adjustable-rate mortgage (ARM) to a fixed-rate mortgage). Hazard Insurance: aka Homeowners Insurance: Insurance that protects a property owner against damage caused by fires, severe storms, earthquakes or other natural events. As long as the specific event is covered within the policy, the property owner will receive compensation to cover the cost of any damage incurred. Typically, the property owner will be required to pay for a year’s worth of premiums at the time of closing, but this will depend on the exact details of the policy. HUD: The U.S. Department of Housing and Urban Development, established in 1965 to address housing needs, and to improve and develop American communities and enforces fair housing laws. “HUD”/HUD1 Statement: U.S. Department of Housing and Urban Development Settlement Statement which must be given to the borrower at or before each closing. A line itemization is on the HUD1 statement, including real estate commissions, loan fees, title costs, escrow amounts and any other closing costs. In-house Program (Proprietary Modification): Modification program created by a lender or investor which has criteria unique to that lender or investor. Interest-only loans: Loan payments, due at intervals, go only toward the interest on a loan. When the loan is up, usually five to seven years, the full principal is due. Interest only loans are also called “exotic mortgages” or “creative financing” mortgages. Interest Rate: Cost of a loan expressed in a percentage rate paid by a borrower for the use of money that they borrow from a lender. Interest rates are normally expressed as a percentage of the principal for a period of one year. Internal Rate of Return (IRR): On an Investment, this is the annualized effective compounded return rate that can be earned on the invested capital. Invalid: Not legally sufficient; no binding force. Investor: One who commits money or capital in order to gain financial return. Joint and Survivorship Deed: Deed which creates a joint tenancy between two or more individuals. This means when one owner dies, the property goes to remaining owners and probate is unnecessary. Judgment: Whether by default, summary motion or trial, a judgment is a final court ruling resolving the issues and claims in a lawsuit and determining the rights and obligations of all parties. A judgment can be enforced and collected against the losing party immediately. Judicial: Of, relating to, or by the court. (In a judicial state, foreclosure is processed through the civil court system). Junior Lien: A legal claim upon real property recorded subsequent (or recorded prior but has subordinated) to another legal claim upon the same real property. Land Contract: A contract between a seller and buyer of real property in which the seller accepts payments in installments to buy the property for an agreed upon purchase price. Typically, the seller retains the legal title to the property, while permitting the buyer to take possession of it for most purposes other than legal ownership. Legal Action: A civil or criminal judicial proceeding, typically by a suit in court. Legal Description: A formal description of real property sufficient to locate it by reference to government surveys or approved recorded maps. Lender: A person or organization that gives money to a borrower with the expectation of repayment in a timely manner, almost always with interest. (LOE) Letter of Explanation: term used in the financial industry to describe any letter which explains an unusual circumstance to the lender or servicer of a mortgage loan. (LOX): See LOE for definition. Lien: The record of an obligation encumbering a property, real or personal. Limited Power of Attorney: A recorded document which authorizes someone to act as attorney-in-fact in a specific manner for someone else. Lis Pendens: A recorded notice of pending legal action, which notifies prospective purchasers of encumbrances and that any interest acquired by them in property litigation is subject to the decision of the court. Listing: An agreement between a property owner and an agent, whereby the agent agrees to try to secure a buyer or tenant for a specific property at a certain price and terms in return for a fee or commission. Litigation: 1. the process of carrying on a lawsuit. 2. A lawsuit itself. Loan Fraud: Purposefully giving incorrect information on a loan application in order to better qualify for a loan. Loan modification: A lender agrees to change the terms of a loan when a borrower has the means to make monthly payments but is not able to meet the current terms of the loan, often due to “resetting” interest rates. Modifications typically lower the interest rate of a loan, extend the length of the loan or switch the borrower to a different type of loan. Loan Term: length of time for you to repay your loan. Loan to Value(LTV): Typically expressed as a percentage, it is the ratio of debt (loan) compared to the market value of the real estate securing the loan. Loan Servicer: The company that collects monthly mortgage and escrow payments and disperses property taxes and insurance payments as directed by the agreement. Loan Servicers also monitor nonperforming loans, contact delinquent borrowers and notify insurers and investor of potential problems. Loss-mitigation department: When contacting your lender, as for this department. This is where you’ll find the people who can help you find a temporary remedy to your problem or work out a loan modification. Making Home Affordable: Making Home Affordable is part of President Obama’s comprehensive strategy to get the housing market back on track. Through the Making Home Affordable Program, American families may be eligible to refinance or modify their loans to a payment that is affordable. (MARS) Mortgage Assistance Relief Services Rules: Known as FTC 16 C.F.R. Part 322: Mortgage Assistance Relief Services; Final Rule and Statement of Basis and Purpose, FTC File No. R911003. FTC regulations released in 2010, designed to stop foreclosure relief scams. MARS Rule Outlaws Modification companies’ acceptance of advance fees before any modification work is done and false claims about how successful their company is. MARS also requires foreclosure relief companies to provide clear disclosures that they are not connected to any government relief agencies. Mass Joinder: the joining together of several lawsuits or several parties all in one lawsuit, provided that the legal issues and the factual situation are the same for all plaintiffs and defendants. Joinder requires 1) that one of the parties to one of the lawsuits make a motion to join the suits and the parties in a single case; 2) notice must be made to all parties; 3) there must be a hearing before a judge to show why joinder will not cause prejudice (hurt) to any of the parties to the existing lawsuits; and 4) an order of the judge permitting joinder. Joinder may be mandatory if a person necessary to a fair result was not included in the original lawsuit, or it may be permissive if joining the cases together is only a matter of convenience or economy. Mediation: A private, informal process for resolving disputes. It is overseen by a mediator, who is charged with helping both parties come to an agreement, but has no power to impose a solution. Mediator: One who interposes between two contending parties (such as the lender and the homeowner in a foreclosure suit), with their consent, for the purpose of assisting the parties in settling their differences. Sometimes this term is applied to an officer who is appointed by a sovereign nation to promote the settlement of disputes between two other nations. Mitigation: 1. relief, cure. 2. Lessen in force or intensity. Modification Agreement: A written document, signed by the beneficiary and the borrower that alters the terms of either the note (judicial state) or deed of trust (non-judicial state) without refinancing the loan. Moratorium: A temporary suspension of debt repayment. Mortgage: A record of debt in which real property is pledged as security for the note(financial instrument). Mortgage broker: Brokers are not lenders; they find mortgage loans for borrowers. Brokers are compensated directly by borrowers—usually a percentage of the total loan, plus other fees. They have no legal obligation to work in the best interests of borrowers. Sometimes, brokers are paid a commission by lenders based on the profitability of the loan, which again works against the interests of the borrower. What you should know: The majority of sub-prime loans were originated by mortgage brokers. Mortgage Electronic Registration System (MERS): Electronic registry system for tracking ownership of individual mortgages, servicing rights, and security interests used by MERS members. Mortgage Identification Number (MIN): Number assigned to a mortgage that is registered with MERS (see definition above) and used for identification and various other purposes for life of mortgage. Mortgage Insurance Premium (MIP): Payment of private mortgage insurance (PMI) premium. (See definition for PMI). Mortgage Modification: Agreement to permanently change one or more term of original mortgage (e.g. change in interest rate, payment amount, term or capitalization of arrears over extended term) This action is often used as means to resolve default or to settle litigation between parties. Mortgagee: The lender or bank; the entity accepting the mortgage as security for financial agreement. Mortgagor: the borrower. Then person or persons who pledge their home as security for the debt they agree to pay. Motion to Vacate (Motion to set aside judgment): a motion filed asking the court to vacate or nullify the default judgment for particular reasons. Courts do not grant such motions except when the defaulting defendant can prove significant reasons recognized by law as legitimate excuses for not responding timely. Negotiator: Representative from a lender who is assigned to review a borrower’s file in order to determine for which program your loan may qualify. Net Income: The amount of income paid after all taxes and payroll deductions are removed. Also known as “take home pay”. Net-Present Value(NPV): the current value of an investment’s future net cash flows minus the initial investment. Net Present Value (NPV) is a way of comparing the value of money now with the value of money in the future. (NO/O) Non-Owner Occupied: Also referred to as investment property or rental property: Property in which the owner does not reside. Usually tenant occupied. Note: a negotiable instrument, wherein one party (the maker or issuer) makes an unconditional promise in writing to pay a determinate sum of money to the other (the payee), either at a fixed or determinable future time or on demand of the payee, under specific terms. Notice of Default: (1) Non-Judicial: A written document that gives constructive notice of a trustor’s failure to perform his obligation under a deed of trust. This document does not require the acknowledgment of a notary and must be recorded. (2) Judicial: A written notification of breach of contract(mortgage). Notice of Sale: A notice giving specific information about the loan in default and the proceedings about to take place. i.e. date of sheriff or trustee sale and how such sale could be averted (cure default, etc.). Notice of Trustee’s Sale: (non-judicial state) A written document that sets forth the day, date and time of the trustee’s sale, describes the property to be sold and give an estimate of the unpaid debt as of the first publication debt. This document is prepared by the trustee and does not require the acknowledgment of a notary and must be recorded with the county recorder in the county in which the property is located at least 14 days prior to the scheduled sale date. Then lender/trustee must arrange for the notice of trustee’s sale to be published in a qualified newspaper in the city in which the property is located. This publication must appear for 3 consecutive weeks, with the first publication date being at least 20 days prior to the sale date. Offer: Indication by a potential buyer of willingness to purchase a home at a specific price, usually written. Ombudsman: an official, usually appointed by the government, but with a significant degree of independence, who is charged with representing the interests of the public by investigating and addressing complaints reported by individuals. Order to Vacate: Court ruling to set aside their previous ruling, as in a default judgment for particular reason or reasons. (OCC) – The Office of the Comptroller of the Currency: is a US federal agency established by the National Currency Act of 1863 and serves to charter, regulate, and supervise all national banks and the federal branches and agencies of foreign banks in the United States. Currently, the acting Comptroller of the Currency is John Walsh. Owner Occupied (O/O): Any property that a borrower owns and lives in as his/her primary residence. Partial Claim: On an FHA or HUD Mortgage, the mortgagee (lender or bank) advances funds on behalf of a mortgagor (borrower) in an amount necessary to reinstate a delinquent loan (not to exceed the equivalent of 12 months PITI). The mortgagor will execute a promissory note and subordinate mortgage payable to HUD which is not due and payable until the mortgagor either pays off the first mortgage or no longer owns the property. Partial Reinstatement: Change in account status from default to current, based on borrower payment of less than total amount due and completion of repayment plan for remaining arrears. Plaintiff: also known as a claimant or complainant is the term used in some jurisdictions for the party who initiates a lawsuit (also known as an action) before a court. By doing so, the plaintiff seeks a legal remedy, and if successful, the court will issue judgment in favor of the plaintiff and make the appropriate court order (e.g., an order for damages). In some jurisdictions the commencement of a lawsuit is done by filing a summons, claim form and/or a complaint. These documents, known as pleadings, set forth the alleged wrongs committed by the defendant(s) with a demand for relief. In other jurisdictions the action is commenced by service of legal process by delivery of these documents on the defendant by a process server; they are only filed with the court subsequently with an affidavit from the process server that they had been given to the defendant(s) according to the rules of civil procedure. Plaintiff’s counsel: In a foreclosure action, this is the attorney or attorneys who represent the bank or other party filing the foreclosure. Power of Attorney (POA): A legal document that authorizes another person to act on one’s behalf. A power of attorney can grant complete authority or can be limited to certain acts or certain periods of time or both. Predatory lending: Loans that victimize borrowers with excessive or hidden fees, high-interest rates, steep prepayment penalties and other terms that trap borrowers in debt. What you should know: If it sounds too good to be true, it probably is. Get a second opinion—or consult an attorney—before signing on the bottom line. Prepayment penalty: A fee a lender charges if the borrower pays off the loan before they agreed upon end of the loan. In other words: If you pay off a 20-year loan in 10 years, you must pay whatever you still owe on the loan (the principal), plus a fee that is specified in the loan contract. Steep prepayment penalties are common in sub-prime mortgages with high interest rates because borrowers try to pay these loans off as early as possible. Primary Residence: The home the owner lives in for all or for the majority of the year. Principal: Sum of money outstanding on mortgage upon which interest is charged. 2. The amount of money owed on a mortgage excluding interest and fees. Principle Balance: That portion of the original loan amount which remains unpaid. It does not include accrued interest or fees. Principal Reduction: Option for lenders to cut the balance of the sum of money outstanding on the mortgage upon which interest is charged in order to make a repayment plan affordable to the borrower on the note. Private Mortgage Insurance (PMI): Insurance to protect the lender against loss if borrower defaults. Profit and Loss Statement: A financial statement that lists the different types of revenues that a company or business has earned and the expenses that it has incurred. Proprietary Modification (In-house Program): Modification program created by a lender or investor which has criteria unique to that lender or investor. Prothonotary: The principal clerk of courts of certain states (e.g. Pennsylvania). (PITIA) Principal, Interest, Taxes, Insurance and Association Fees: Elements of a monthly mortgage payment that includes all escrows. Principle and interest are applied toward the loan, while the portion for Taxes, insurance and Association Fees goes into an escrow account until the servicer pays that party when due. Publication Letter: (non-judicial) This letter is sent to the lender by the trustee. When completed and returned, it authorizes the trustee to proceed with the scheduling of the trustee’s sale and preparation of the notice of trustee’s sale. Publication Period: (non judicial) The interval beginning the day after the pre-publication period expires and ending with the conducting of the trustee’s sale. During the publication period, the notice of trustee’s sale is published, posted, recorded and copies are mailed to all entitled parties. The publication is normally 30 to 40 days. Qualitative: Statement, answer or report that is expressive in language only. Quantitative: Statement, answer or report that is measurable by number, percentage or dollars. Quiet Title: A lawsuit brought in a court having jurisdiction, in order to establish a party’s title to real estate, and thus “quiet” any challenges or claims to the title. Quit Claim deed: A deed transferring ownership of a property without any guarantee of clear title. Ratification: Signing of agreement by both parties. Realtor: A real estate agent who is a member of the National Association of Realtors; a party who acts as an intermediary between sellers and buyers of real estate/real property and attempts to find sellers who wish to sell and buyers who wish to buy. (REO) Real Estate Owned: Property acquired by a lender or bank as a result of foreclosure or deed-in-lieu of foreclosure. Reconveyance: (Non-judicial) a recorded document which gives notice that the loan secured by the identified deed of trust has been paid in full. Recovery: 1. The regaining or restoration of something lost or taken away. 2. The obtainment of a right to something (esp. damages) by a judgment or decree. 3. An amount awarded in or collected from a judgment or decree. Recorder: The public official who keeps records of transactions concerning real property; sometimes known as a “Registrar of Deeds”. Redemption: right of defaulted previous owner to re-own his/her property by curing the default. Reinstatement: Change in account status from default to current, upon acceptance of all payments and fees due (full reinstatement of loan). Repayment Plan: An agreement to pay the overdue payments over a period of time by adding an extra amount to your monthly payment. Reserve: an additional sum of money required by lender to be paid into escrow account as part of monthly escrow payment to protect lender against increases in escrow expenses. Reset: See balloon mortgages and adjustable rate mortgages. (RESPA): Real Estate Settlement Procedures Act: part of Title 12 USC, RESPA. Retainer: 1. A client’s authorization for a lawyer to act in a case. Retainer Fee: A fee paid to a lawyer to secure legal representation. Reversal: Removal of previously imposed charge or reapplication of previously credited payment. Generally involves two-step accounting process in which item is reversed in one transaction and reapplied in another transaction. 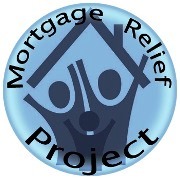 (RMA) Request for Modification and Affidavit: A form approved and issued under MHA program, which summarizes the information needed, in order for the mortgage servicer to make a decision regarding the borrower’s home and financial situation and whether they qualify for the MHA program. Second Look: Program to give borrowers an additional underwriting review if they have been turned down for a loan modification of a non-GSE mortgage. The 2nd look program is designed to be used on any non-GSE loan modification where a so-called “net present value” (NPV) test is used to determine eligibility. These could include jumbo mortgages, loans on investors’ balance sheets and loans that were packaged into private-label mortgage securities. As constructed, many NPV models disadvantage loans with mortgage insurance, making it mathematically appear that a foreclosure is the best path. Securitization Audit: An examination of the paper trail from the mortgage and note to the servicer of the trust account in order to ensure that proper assignment took place on a Mortgage and Note, determining who is entitled to payments on the debt and whether UCC, SEC, State or Federal laws were broken. It reviews all recorded paperwork of the property address to ensure that the proper assignments were filled with the county’s recorder’s office and that the assignments occurred in the correct allotted time frame set forth by the Pooling and Servicing Agreement of the trust. Securitization: The financial practice of bundling various types of contractual debt such as residential mortgages, and commercial mortgages into tranches and selling these debts as bonds, pass-through securities, or Collateralized mortgage obligation (CMOs), to various investors. The principal and interest on the debt is paid back to the various investors regularly. Securities backed by mortgage receivables are called mortgage-backed securities, while those backed by other types of receivables are asset-backed securities. Servicer(Primary Servicer): The party responsible for payment collection, cash management, escrow administration, and loan reporting to mortgage-backed securities’ trustees and certificate holders. Some functions may be delegated to sub-servicer. Servicing Advances: Funds advanced by servicer, under terms of agreement with lender to cover servicing costs and expenses as they occur. Sheriff Sale: a sale conducted by a sheriff upon order of a court after a failure to pay a judgment. Local laws, which vary by jurisdiction, require notice of the sale be provided to the public. Often, property that is involved in a mortgage foreclosure is subject to being sold at a sheriff’s sale. The money that is raised at the sheriff’s sale is applied to the unpaid judgment. Short Payment: Payment made in less than full monthly amount due under the loan payment schedule. Short sale: When the sale of your home brings less than the outstanding loan, lenders may agree to forgive the difference. What you should know: This may be a way to avoid foreclosure and protect your credit rating. Unfortunately, you still lose your home. It is very important when doing a short sale to have an attorney make sure that you will not have a deficiency judgment in which you would have to pay the difference between what you owe and what the lenders receive. Statutory Expense(Stat Exp): Any tax, special assessment, or other charge imposed by federal, state or local taxing authority or other governmental entity. Generally does not refer to taxes paid through escrow account but rather corporate advances to cover such charges when account is in default or property is facing tax sale, or following a foreclosure. Stay/Toll: A temporary stop of any and all further foreclosure actions. Sub-prime mortgages: The word “sub-prime” is applied to a wide range of mortgages that have a common characteristic: risk. In general, sub-prime mortgages are aimed at borrowers with less-than-perfect credit histories and may offer “creative” financing approaches: adjustable rates, balloons, interest-only, no down payments, and little documentation. Here’s the confusion: The word sub-prime does not refer to the interest rate of the loan, but to the borrower’s credit quality. In fact, the interest rates on these loans are almost always higher than the overall market rates. Summary Judgment: A summary judgment is a court’s decision made on the basis of statements and evidence presented in the legal pleadings and documents filed, without a trial. It is used when there is no dispute as to the facts of the case, and one party is entitled to judgment as a matter of law. Summons: A paper prepared by the plaintiff and issued by a court that informs all defendants that they have been sued. The Summons requires that the defendant file a response with the court within a given time period or risk losing the case under the terms of a default judgment. States vary on response time. Supra: In legal briefs and decisions it refers to the citation of a court decision which has been previously mentioned. Thus a case when first cited will be referred to as Guinn v. United States, (1915) 238 U. S. 347, meaning it can be found in volume 238 of the United States Reports (of the Supreme Court) at page 347 and was decided in 1915. The next time the case is cited as Guinn v. United States, supra. Definition By Gerald N. Hill and Kathleen T. Hill. Temporary Modification: An agreement which, for a limited amount of time, changes one or more terms of original mortgage (e.g. change in interest rate, payment amount, term or capitalization of arrears over extended term). This is often used as a means to resolve default or to settle litigation between parties created by a short term hardship. Title: The instrument that is evidence of a person’s right in real property. Trial Modification: Generally used for the making Home Affordable Modification Plan in which the homeowner agrees to make the three months of a modified payment before it is modified on a permanent basis. There may be no grace period for these payments. Trustee: a person, usually one of a body of persons, appointed to administer the affairs of a company, institution, etc. Generally, a trustee’s duties are to protect and preserve the trust property, and to ensure that it is employed solely for the beneficiary in accordance with the directions contained in the trust instrument. Trustee Sale: A sale of a property in foreclosure due to default in the loan made from the lender, who holds a trustee deed on the property. State statutes, which vary by state, govern the notice requirements for publication of the sale of the foreclosed property. A foreclosure sale can take place at public auction. The property may be sold to a third party bidder or revert back to the lender for a specified amount. Trustee Suspense Account: (refers to Bankruptcy trustee) Suspense account used by servicer to hold payments received from Chapter 13 bankruptcy trustee pursuant to borrower’s chapter 13 plan providing for cure of pre-petition mortgage arrears. Unapplied Funds: Portion of partial payment remaining after accepted by servicer and applied to one or more full installments, typically held in suspense account until enough funds are received to make a full installment. Unapplied Payment: Payment that is less than the total amount due. Servicer will return to borrower or hold as unapplied (typically in suspense account). Under Water: A homeowner that owes more on his note (mortgage) than the property collateralizing the mortgage is worth. VA(Department of Veteran Affairs): A federal agency that guarantees loans made to veterans. VA Mortgage: A mortgage guaranteed by the Department of Veterans Affairs. Valid: A condition that is legally sufficient; that will be upheld by the courts. Waterfall Test: a term introduced by the Making Home Affordable guidelines to illustrate how the qualifying steps work in the HAMP program. When the first step is attained, the servicer checks the next level, once that step is attained, the servicer will go to the next and so on until each level has been explored.